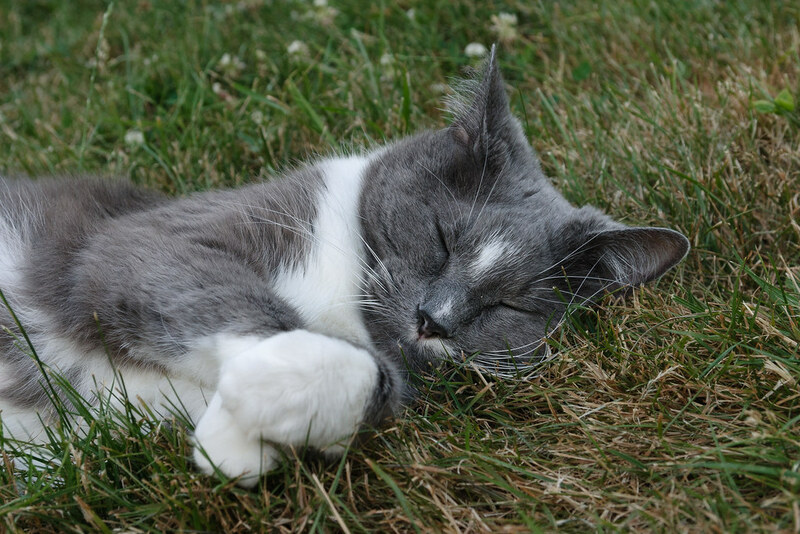 One of the things I don’t like about our backyard is that it isn’t a very photogenic place to photograph the cats. We have a wire fence around the yard which is functional yet looks terrible as a background in pictures. We’ve made some small changes to the yard, mostly just temporary changes until we’re ready to make some major improvements. 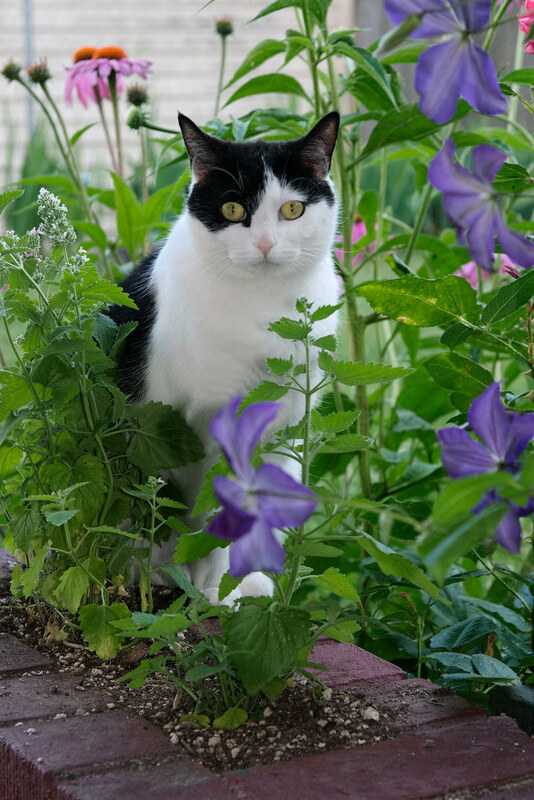 This shot of Scout comes as close to a nice background as I’ve yet found, with the catnip growing beside her, the purple flowers of the clematis in front of her, and the pink blossoms of the purple coneflower behind her. She’s such a beautiful little creature, perhaps no one can look away from her golden eyes to check on the background anyway. 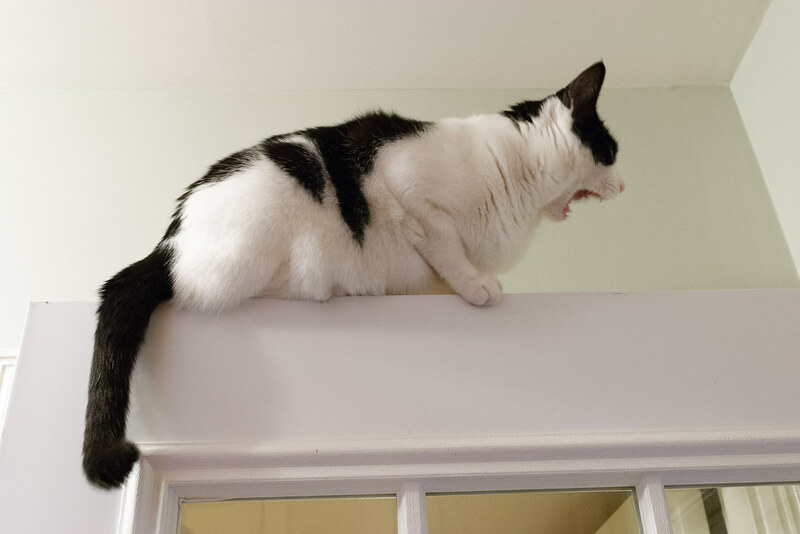 NOTE TO WOULD-BE INTRUDERS: Make sure to look up when you enter our premises, as our security system is just as effective (and deadly) from above as from below. 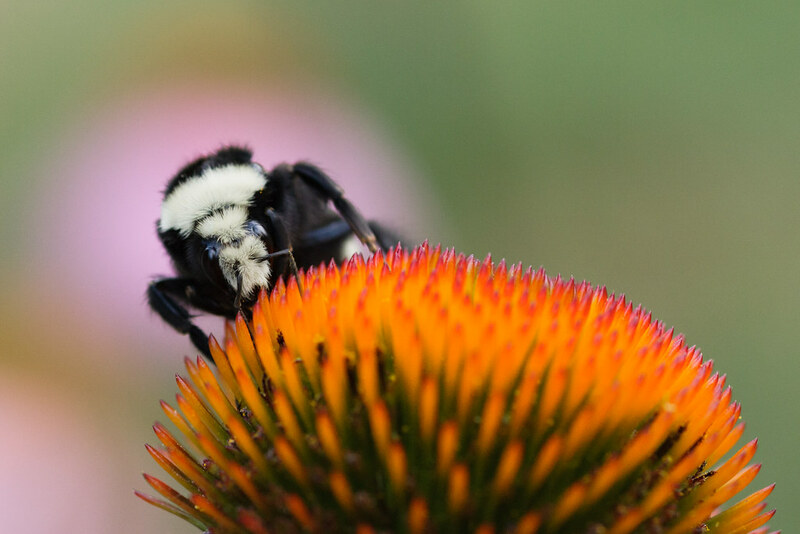 I positioned my camera so the bumblebee searching for pollen on a purple coneflower would appear in front of the flower behind it, like a monster climbing over the earth before the rising sun. I’m easily amused, in case you hadn’t noticed.